Here at Valley Veterinary Group we help you look after the routine and preventative health care for your pet, but it is also important to consider the importance of pet insurance in providing cover for any unexpected veterinary treatment should your pet become ill or is injured. 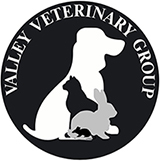 At Valley Vets we offer a range of MiPet Cover policies. Valley Veterinary Group and MiPet Cover are trading names of CVS (UK) Limited who are an appointed representative of Ultimate Insurance Solutions Limited. Ultimate Insurance Solutions Limited are authorised and regulated by the Financial Conduct Authority (No 311368). Registered in England and Wales number 03299891. Registered office: Markerstudy House, 45 Westerham Road, Bessels Green, Sevenoaks, Kent, TN13 2QB.